It's 2015! Time for a new feature! We at Panel Patter read sooo many good comics, we can't possibly talk about them all at length. Starting with this column, we're debuting Quick Hits, where the team gets together and says a few things about books we've read recently. It's a chance to offer our thoughts in a brief fashion, to highlight things we wanted to talk about, but maybe not in a 1500 word opus. Sometimes this feature will have a theme, sometimes it will just be a round up of interesting books. 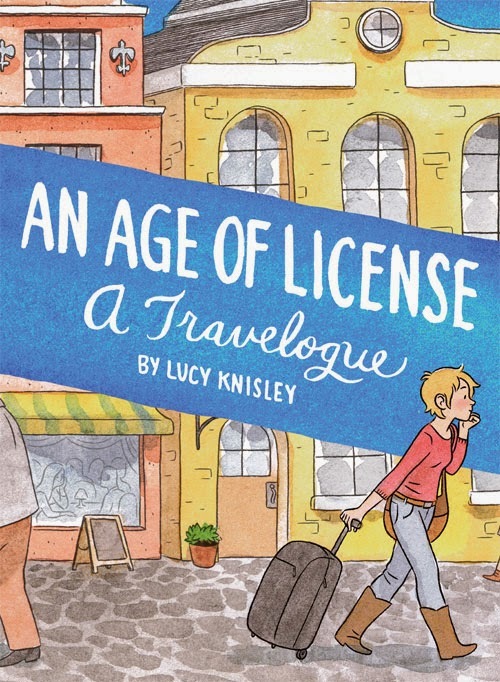 Creator Lucy Knisley takes us on her trip to Europe, in which she combines an event invitation with some family time to explore another continent as much as possible. Over the course of the pages, she not only shows readers her outer experiences but also the inner workings of her mine, both in the spur of the moment as well as when she has had time to reflect on what happened. It's an open honesty that makes for a great autobiographical work, and Knisley understands this. It's especially true as she forms a romantic link to a man she knows she can't stay with long-term. There's a sense of self-discovery that builds over time, which she talks about in the closing pages, making this more than just a travelogue, but also a monologue, which readers of a certain age should be able to resonate with strongly. I wanted to like In Real Life more than I actually did. I am a fan of Cory Doctorow's writing and have read several of his novels; I am also a fan of Jen Wang's lovely drawing style, which I first saw in her debut comic Koko Be Good. Much of In Real Life actually takes place online, in a fictional massively-multiplayer online role-playing game (or MMORPG) called Coursegold. Anda, the main character, loves playing Coursegold- it allows her to create a bolder-than-life avatar, have adventures and talk with users from all over the world. One of the users than Anda meets is a Chinese teenager working as a gold farmer- a user who collects in-game items for the purpose of selling them to other users for real cash, practice both common and forbidden. 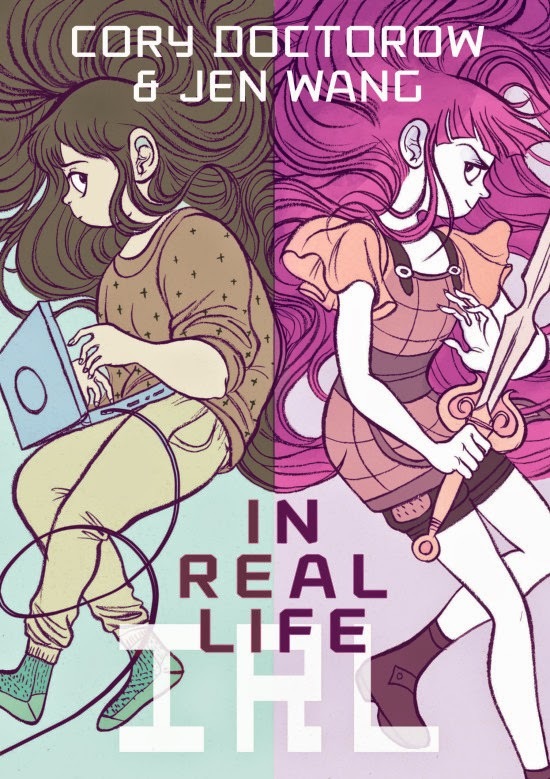 Much of the plot of In Real Life focuses around Anda's growing friendship with the gold farmer and the murky morality of the situation. 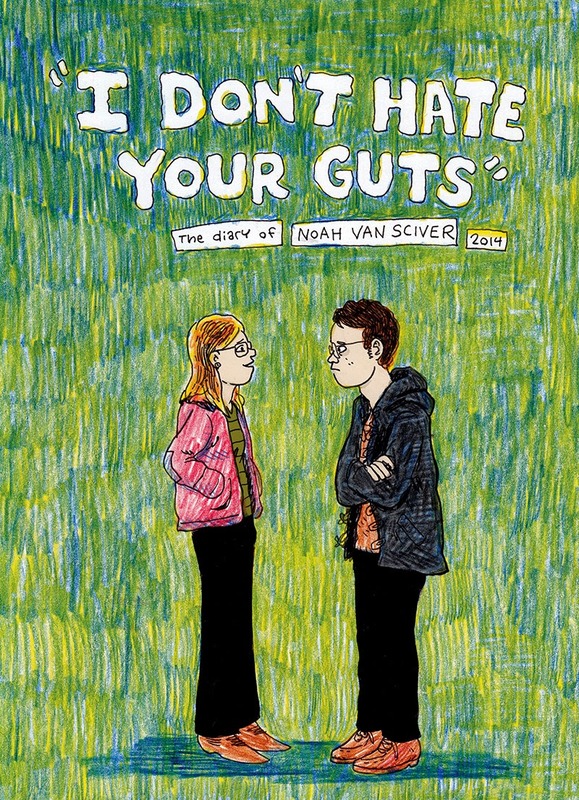 Gilbert Hernandez takes his distinctive art style to a a small town and several small-minded individuals in a story that didn't seem to know whether to stay closer to reality or move off into a crazier world. Using a small group of recurring characters, Hernandez makes it clear they're all very broken people, including a cougar teacher who romances a former student, an impotent man who boasts of fake sexual conquests and a business owner with designs on one of her employees. They weave in and out of the narrative, usually to be horrible to each other, and in the end, several romantic entanglements lead to heartbreak and tragedy. 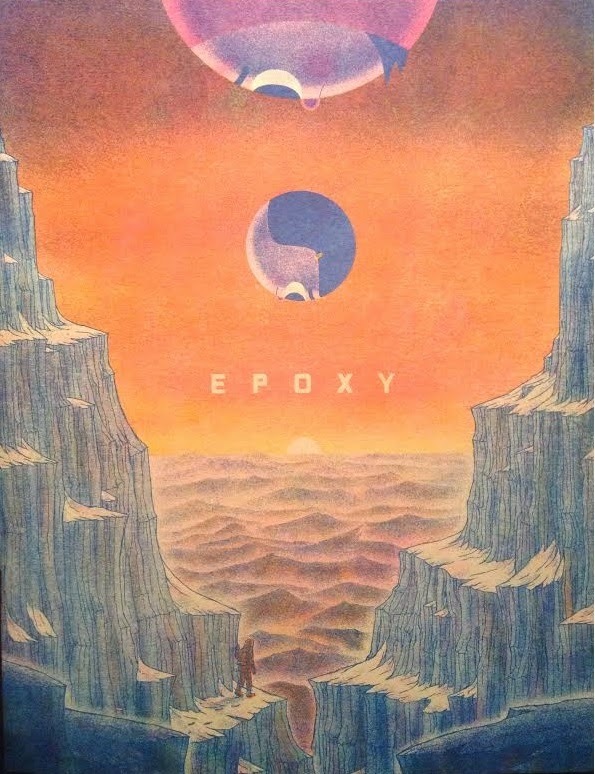 2013's Epoxy 4 was a break with previous entries in John Pham's long running one-artist anthology both from a narrative perspective and with it's overall look and feel, but Epoxy 5 picks up where 4 left off. It's confusing why these two issues of Epoxy are even called Epoxy. The "main" story in both of these comics is a continuation of "Deep Space" which first appeared in Pham's other one-artist anthology: Sublife. In Epoxy 5 the three-"man" crew has crashed landed their submarine looking spaceship on a planet whose surface resembles shattered fiberglass broken up by an occasional volcano. The whole thing is printed with gorgeous blue and orange hues with the orange running the gamut from peach to pumpkin. The colors look like they were printed with painstaking iterations through a risograph. But Pham was using very nearly the same colors as far back as his "221 Sycamore Ave" in the early issues of MOME, so there is more going on than just messing around with printing techniques. Pham's cartooning occupies similar territory as Chris Ware and Kevin Huizenga, everything on the page is deliberate and thought out in the way that is contributes to the overall affect. Embedded within the comic is a smaller comic, continuing the episodic adventures of Jay and Kay. Jay and Kay are two girls who navigate a late capitalist quasi-magical world of teenage insecurities and awkward social situations at the mall.